Alabama is wrecking everything in its path this season, and the Buffalo Bills are horrible. But the NFL squad would still be a hefty betting favorite in a hypothetical game. According to Jeff Sherman of SuperBookUSA, if the teams met on a neutral field, Alabama would open as 28.5-point underdogs. Without question, that’s a jarring number. However, it’s a reminder of one important thing: The Bills have 53 NFL-caliber players on the roster. Alabama has a few dozen who will eventually reach that level, but they’re not all physically ready for the pros right now. Every year, we hear rookies say the speed of the game is significantly faster compared to the college level. That’s the way it should be, after all. 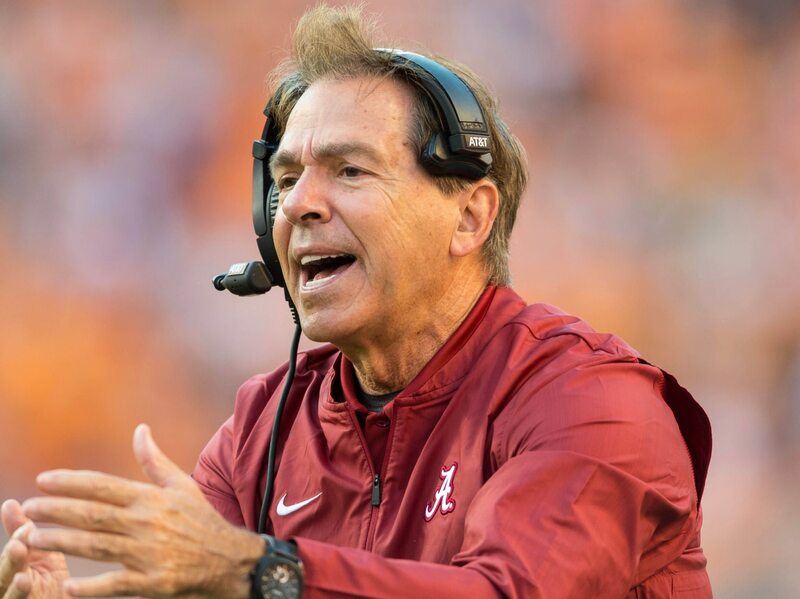 Yes, the thought of Nick Saban preparing Alabama for a clash against an NFL franchise is intriguing. And considering how Tua Tagovailoa has performed for the Tide in 2018 compared to the nightmare that is Buffalo’s QB room, it’s a fun dream. But even if you think Alabama could stay within four touchdowns, the difference between a superstar college team and bad pro squad is still enormous.